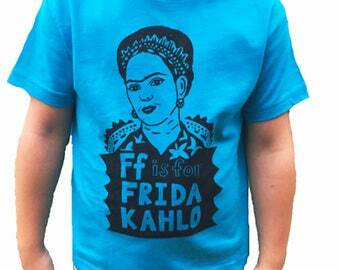 Feminist Shirt; F is for Frida Kahlo. 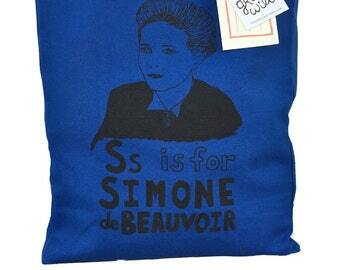 Gift Set packaged with 9x12" screen print on card stock. 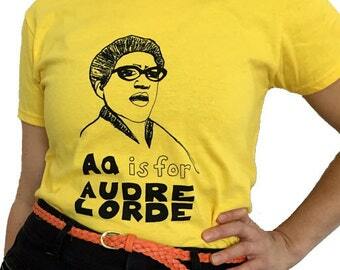 Choose from black, heather blue, or neon yellow t-shirts. 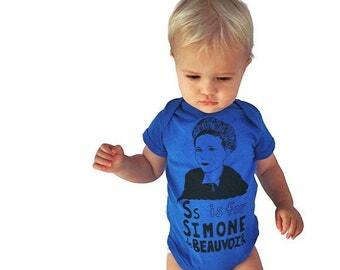 SALE- 15% OFF. 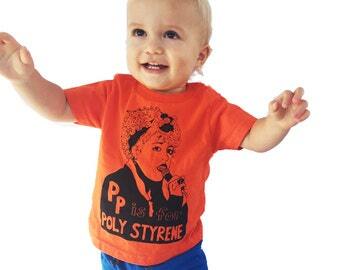 Was $30- now $25. The neon color is difficult to photograph. 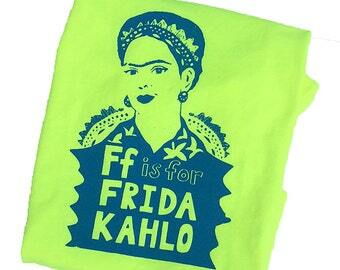 The shirt is the color of a typical fluorescent yellow highlighter pen. The ink is brighter and more turquoise than the photos. The slightest change in light will change the reading of these colors so I have included as many different shots as possible. 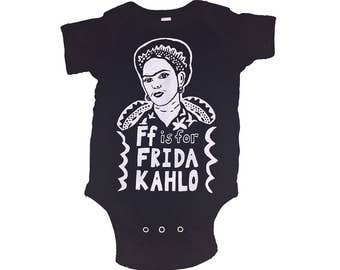 Kahlo's posthumous popularity and the commercialization of her image have drawn criticism from many scholars and cultural commenters, who think that not only have many facets of her life been mythologized, but the dramatic aspects of her biography have also overshadowed her art, producing a simplistic reading of her works in which they are reduced to literal descriptions of events in her life. According to journalist Stephanie Mencimer, Kahlo "has been embraced as a poster child for every possible politically correct cause" and "like a game of telephone, the more Kahlo's story has been told, the more it has been distorted, omitting uncomfortable details that show her to be a far more complex and flawed figure than the movies and cookbooks suggest. This elevation of the artist over the art diminishes the public understanding of Kahlo's place in history and overshadows the deeper and more disturbing truths in her work. 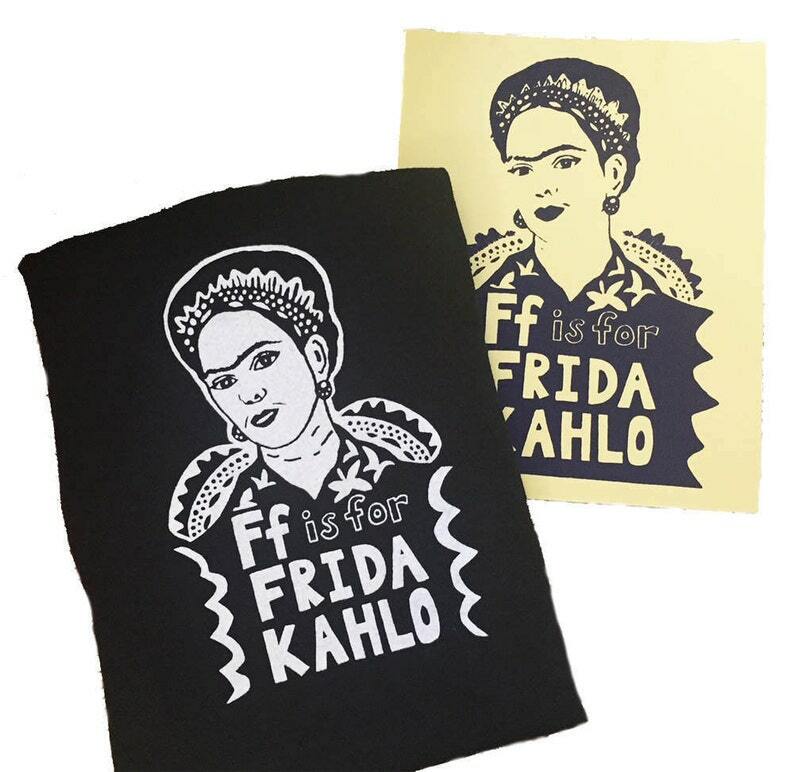 Even more troubling, though, is that by airbrushing her biography, Kahlo's promoters have set her up for the inevitable fall so typical of women artists, that time when the contrarians will band together and take sport in shooting down her inflated image, and with it, her art." 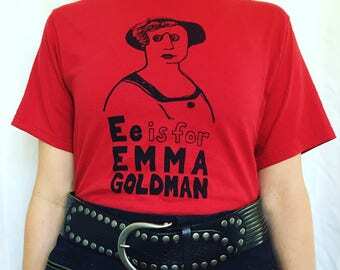 love my emma goldman tshirt! fast shipping and packaged very nicely, the print is such an awesome bonus! thank you!